With countries like India and China propelling consumerism, there is a lot of activity on the e-Commerce front. New start-ups are being formed everyday and there is a lot of activity when it comes to retail marketing. E-commerce companies have found a new lease of life thanks to venture capitalists and angel investors, all of whom are interested in investing in e-commerce precisely because of the kind of growth that online retail is witnessing. With this burgeoning growth, start-ups have begun to realize the need to make timely shipments and deliveries, offering good customer care and enhancing marketing and sales strategies. All this can be made possible only with ERP. ERP solutions are very important for e-commerce start-ups. An e-commerce start-up depends on workflow and business processes that are streamlined. If one thing goes amiss, sales orders, invoices, shipments and deliveries will go haywire and there will be a lot of negative feedback on social media and offline as well. This is one of the reasons why ERP must be implemented even as start-ups are being formed. When it comes to e-commerce start-ups, founders must realize that they are different from other companies on ground. Most service related start-ups do not have the kind of logistical worries that e-commerce companies do. Managing inventories, ensuring that all products are in good condition and that customers are not left angry will require a lot of efforts from e-commerce companies. 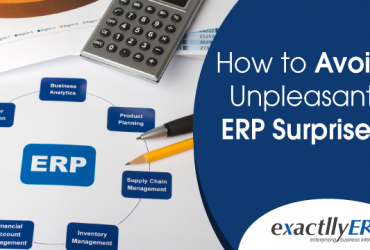 The only way they can achieve success is to invest in an ERP that is specifically geared towards e-commerce set ups. The good news is, most ERP systems can help e-commerce start-ups right away. 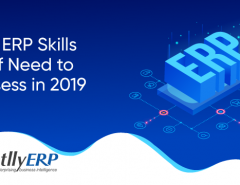 The different modules in an ERP, such as, HR, CRM, logistics, shipping and deliveries, sales and marketing, business intelligence and others will help e-commerce companies to gain foothold in an area that is still growing. For those companies that are still new, investing in ERP provides a competitive advantage. Not many companies will want to invest in an enterprise suite because it costs money. 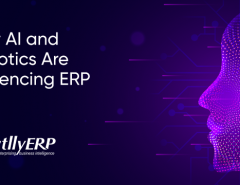 When new companies invest in ERP right away and ensure that it is successfully implemented, they will be years ahead of e-commerce start-ups that do not have an ERP in place. After all, when products are delivered in time and in good condition, customers will come back to shop again and again. ERP will ensure that this happens always. With a streamlined approach towards procuring, making inventories, replenishing stocks, taking online orders, building and strategizing, marketing and sales and finally, towards maintaining customer relationships, ERP ensures that your e-commerce start-up is always ahead of others. 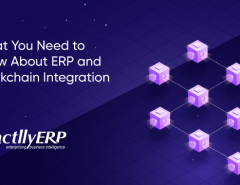 By automating what is not required to be manual, an ERP will help you to free up precious resources that can be invested to make your business more competitive and productive. Cloud-based ERP takes all this a step above. It removes the need to invest in expensive infrastructure and instead brings the benefit of ERP to even those who couldn’t invest in it earlier. Certainly, these are good times for e-commerce start-ups precisely because of the evolution of cloud-based ERP.